This Tuesday head over to Tierra y Mar as ‘Last-Minute India’ will be jamming live with their finest tunes. 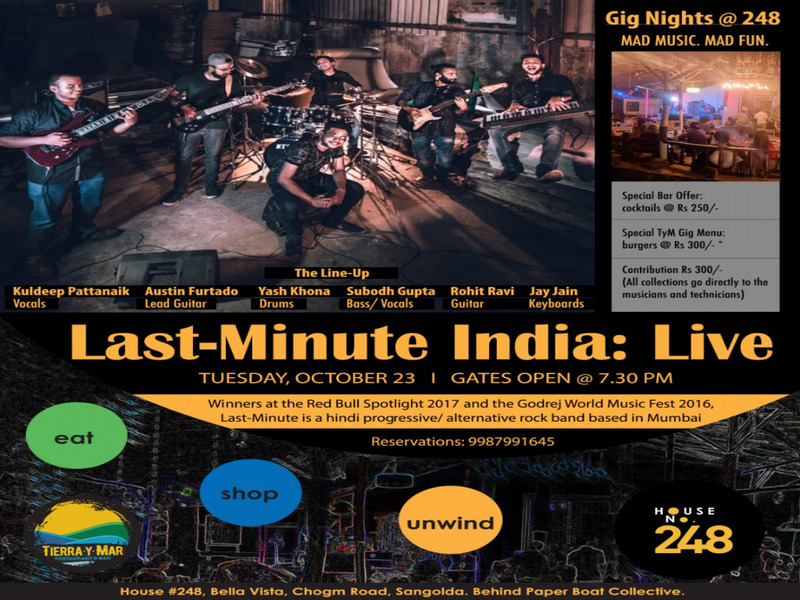 Winners at the Red Bull Sportlight 2017 and Godrej World Music Awards 2016, Last-Minute India is a Hindi progressive/ alternative rock band based in Mumbai. So gear up and get ready for a special experience! For reservations and details 9987991645.